Scientists from the Scripps Research Institute have adapted a chemical approach to turn diseased cells into unique manufacturing sites for molecules that could potentially treat a host of conditions in a very selective and precise manner, providing highly specific therapeutics that only act when a disease is present. Jupiter, Florida, September 2, 2014 – In a new study that could ultimately lead to many new medicines, scientists from the Florida campus of The Scripps Research Institute (TSRI) have adapted a chemical approach to turn diseased cells into unique manufacturing sites for molecules that can treat a form of muscular dystrophy. The promising research was published recently in the international chemistry journal Angewandte Chemie. In general, small, low molecular weight compounds can pass the blood-brain barrier, while larger, higher weight compounds tend to be more potent. In the new study, however, small molecules became powerful inhibitors when they bound to targets in cells expressing an RNA defect, such as those found in myotonic dystrophy. Myotonic dystrophy type 2, a relatively mild and uncommon form of the progressive muscle weakening disease, is caused by a type of RNA defect known as a “tetranucleotide repeat,” in which a series of four nucleotides is repeated more times than normal in an individual’s genetic code. In this case, a cytosine-cytosine-uracil-guanine (CCUG) repeat binds to the protein MBNL1, rendering it inactive and resulting in RNA splicing abnormalities that, in turn, results in the disease. In the study, a pair of small molecule “modules” the scientists developed binds to adjacent parts of the defect in a living cell, bringing these groups close together. Under these conditions, the adjacent parts reach out to one another and, as Disney describes it, permanently hold hands. Once that connection is made, the small molecule binds tightly to the defect, potently reversing disease defects on a molecular level. The basic process used by Disney and his colleagues is known as “click chemistry”—a process invented by Nobel laureate K. Barry Sharpless, a chemist at TSRI, to quickly produce substances by attaching small units or modules together in much the same way this occurs naturally. “In my opinion, this is one unique and a nearly ideal application of the process Sharpless and his colleagues first developed,” Disney said. Given the predictability of the process and the nearly endless combinations, translating such an approach to cellular systems could be enormously productive, Disney said. RNAs make ideal targets because they are modular, just like the compounds for which they provide a molecular template. Not only that, he added, but many similar RNAs cause a host of incurable diseases such as ALS (Lou Gehrig’s Disease), Huntington’s disease and more than 20 others for which there are no known cures, making this approach a potential route to develop lead therapeutics to this large class of debilitating diseases. In addition to Rzuczek and Disney, the other author of the study, “A Toxic RNA Catalyzes the In Cellulo Synthesis of Its Own Inhibitor,” is HaJeung Park of TSRI. The work was supported by the Muscular Dystrophy Foundation, the Myotonic Dystrophy Foundation and the State of Florida. 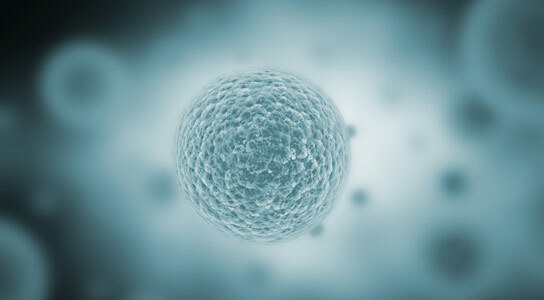 Be the first to comment on "Scientists Turn Diseased Cells Against Themselves"